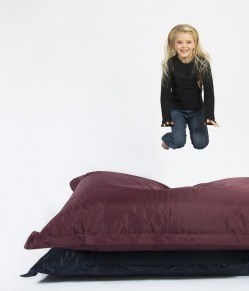 SiTBIG comes in two sizes: Large (115x140cm) which is ideal for children and Xtra Large (140x180cm) for adults and teenagers. We deliver the best quality for the best price possible. 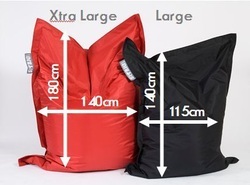 The Large SiTBIG is R949 and the Xtra Large R1199. SiTBIG's come in 9 different colours: a dark range for the XL and a brighter range for the L.
Please note that although SiTBIG's are ideal for outside, they cannot be left in the sun or rain for extended periods.